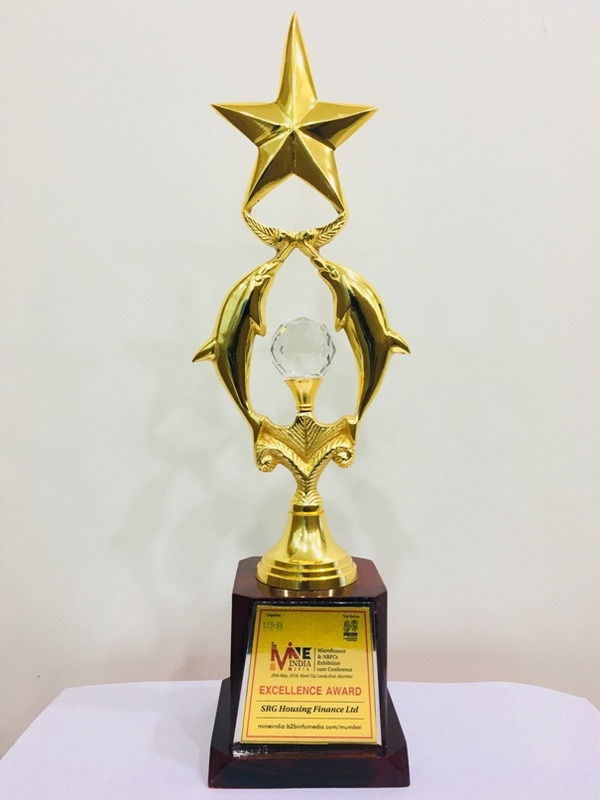 SRG Housing Finance Limited has received Excellence Award at 3rd Mine India Microfinance & NBFC Conference on 25th May 2018 at Hotel Taj Lands End, Mumbai. 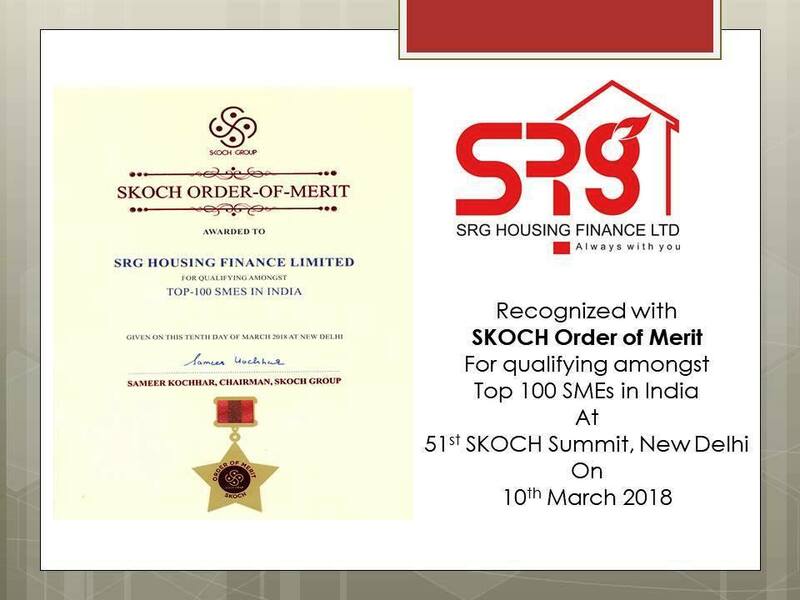 SRG Housing Finance Ltd. had been adjudged amongst the “Top-100 SMEs in India” by Skoch Group and Awarded with Skoch Order of Merit on 51th Skoch Summit on 10th March 2018. 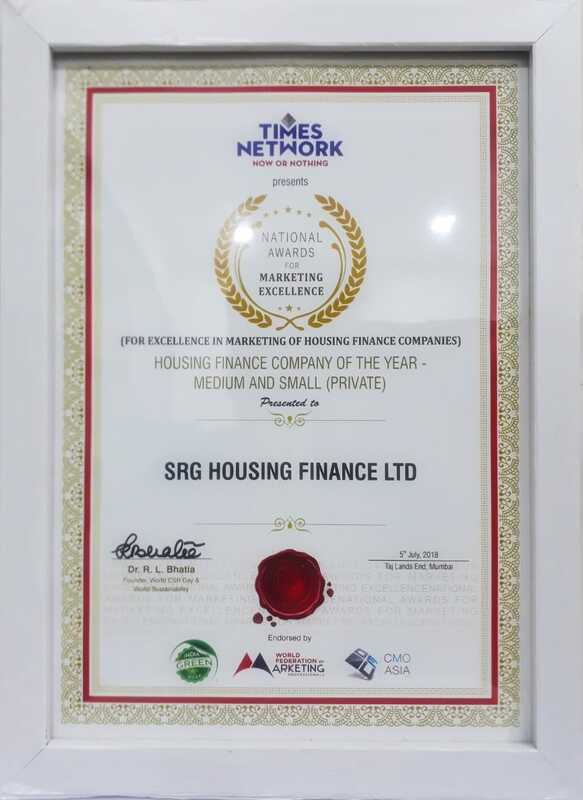 SRG Housing Finance Ltd. has been awarded "Fastest Growing Housing Finance Company of the Year" by ET NOW BFSI Award on 14th February 2018. 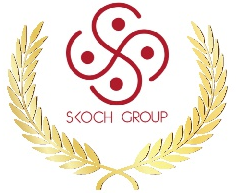 SRG Housing Finance Ltd. had been adjudged amongst the “Top-100 SMEs in India” by Skoch Group and Awarded with Skoch Order of Merit on 47th Skoch Summit on 17th-18th March 2017. 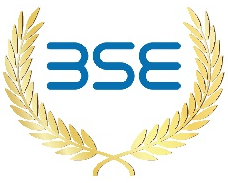 Awarded from BSE for top three performers on SME Platform for the year 2012-13. 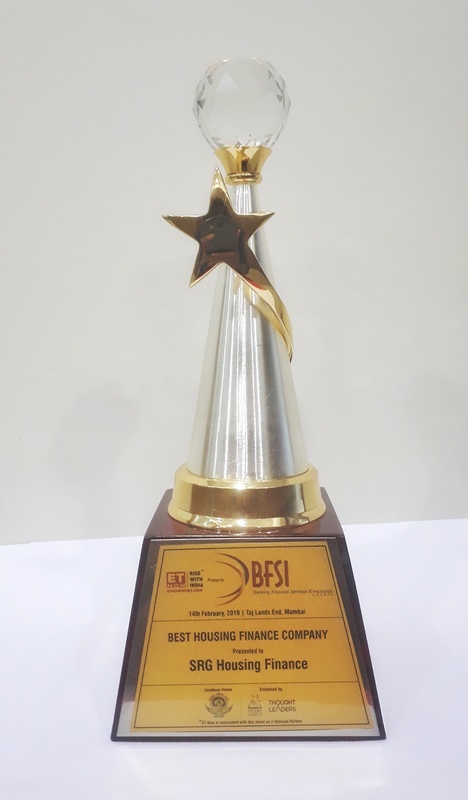 Vinod Kumar Jain, Managing Director of the Company has been awarded as 100 Top Most Influential BFSI Leader” by World BFSI Congress.